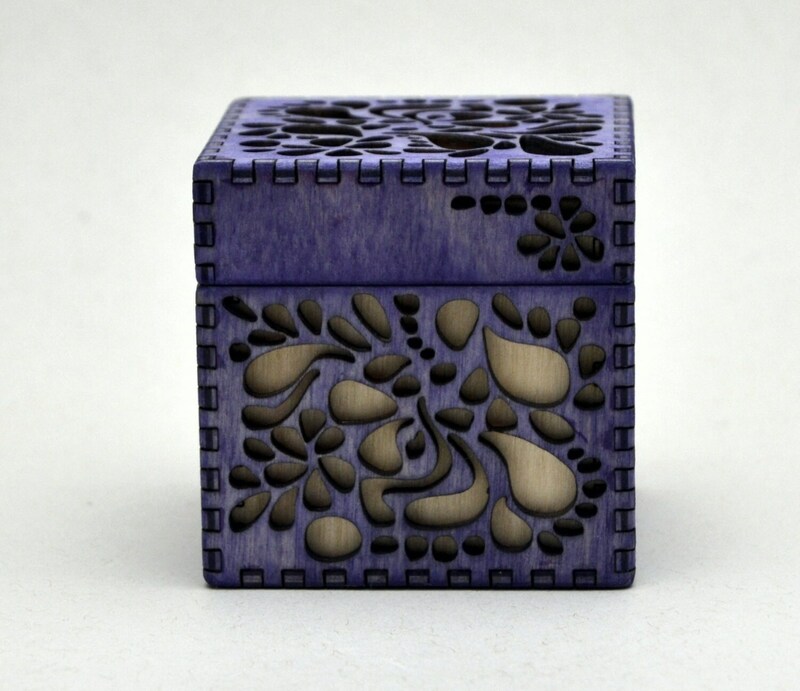 This cheerful cube has a paisley design cut into its top and sides that reveal a contrasting wood panel below. 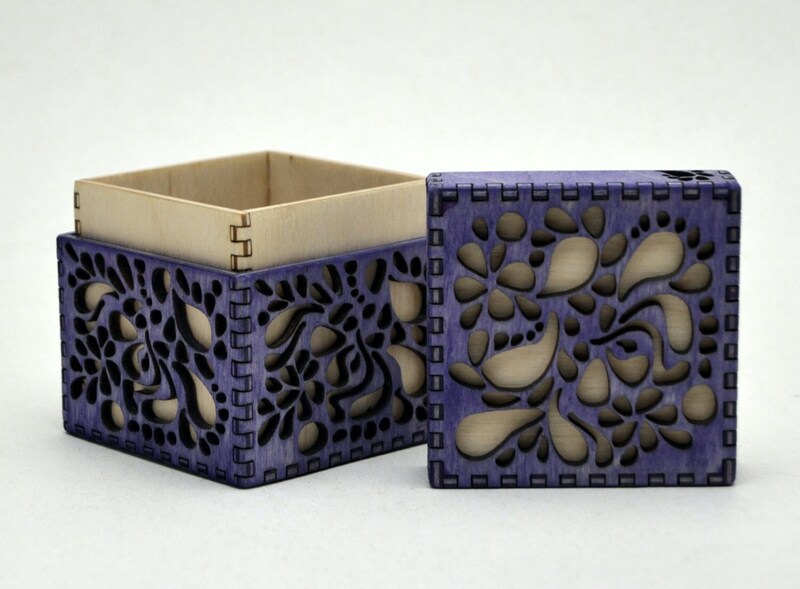 The box is made of Baltic birch plywood, laser cut, hand assembled with a purple stained exterior. Sealed with durable polyurethane. 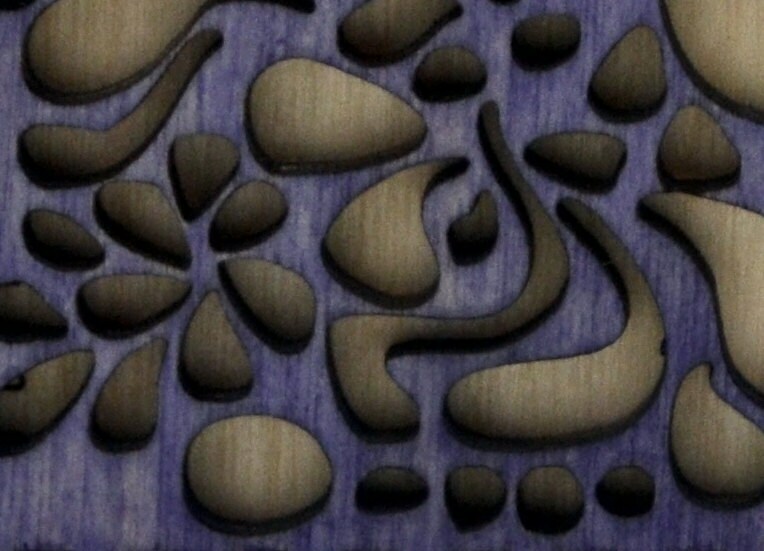 Measures 2 5/8" w x 2 5/8" d x 2 5/8" tall.